The popular seminars, which are designed to educate greenkeepers on how to maintain and look after bowling greens, have been credited for improving the greens at numerous bowls clubs throughout the country. Combining insightful seminars and practical tips, a number of industry experts take to the stage to discuss a wide range of key topics. 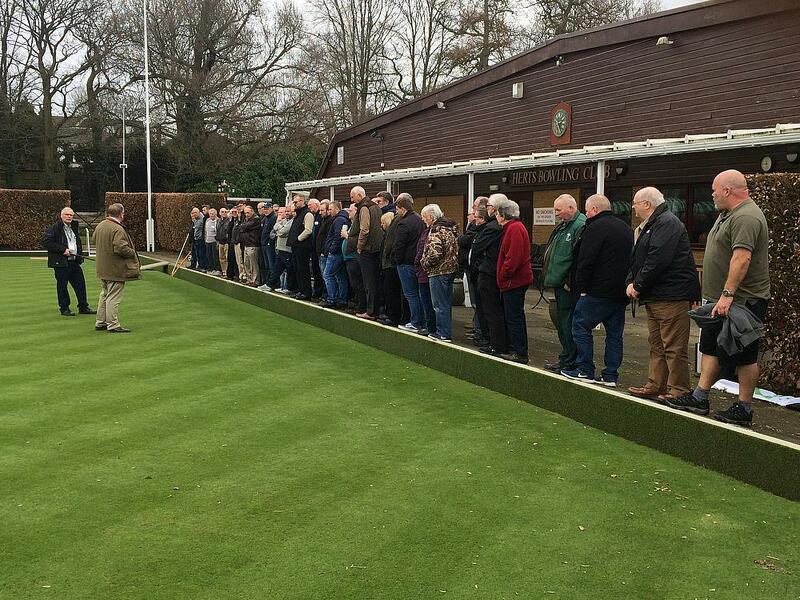 Held at the Herts Bowling Club in Watford, this most recent seminar attracted a phenomenal 80 greenkeepers. Grass seed was the next topic of the day when Luke Hunt from Barenbrug UK advised delegates on how to choose the correct seed for their greens. The ever popular Turf Clinic followed and enabled all of the greenkeepers to ask their own questions to the panel of expert speakers. After a complimentary lunch, an on-green demonstration took place in which delegates got the opportunity to see a number of turf maintenance techniques in action. Kev Brazier, a contract greenkeeper working in partnership with Harpenden Bowls Club, felt that the seminar was a great opportunity to enhance his greenkeeping knowledge. “It was a really informative seminar. The speakers had great knowledge and they presented it in a way in which everyone could understand. I was particularly interested in hearing that there is actually a place for Dwarf Ryes on bowling greens in certain situations. John Hay, Hertfordshire bowls greens co-ordinator, worked alongside Dennis in arranging the seminar and felt that the day was a huge success. 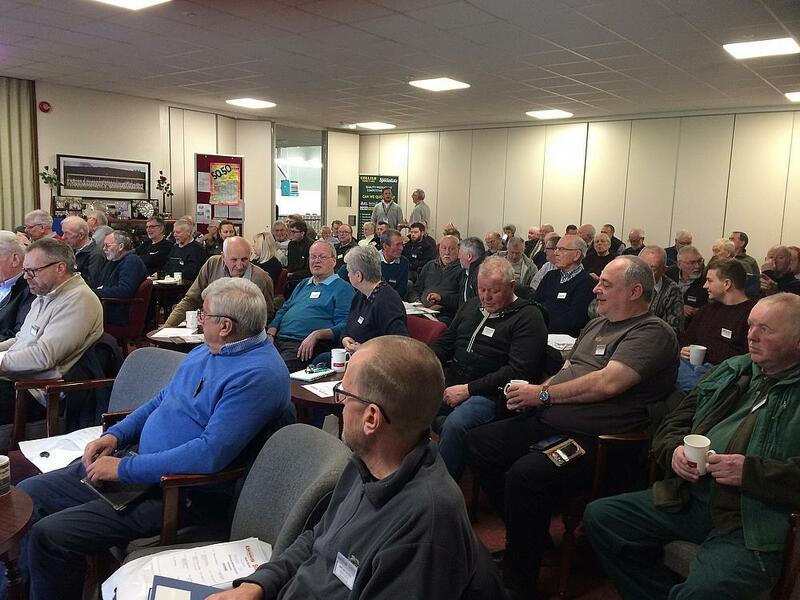 “The seminar had a fantastic response and it was very timely because it has helped greenkeepers prepare for the season ahead. It was invaluable to all of the clubs that attended; the speakers were amazing, there were a few myths put to bed about what should and shouldn’t be done and there was a nice turf clinic which gave the greenkeepers the chance to speak their minds. Tuesday 9 April - Hykeham Bowls Club, North Hykeham, Lincolnshire. Wednesday 10 April - Ashbourne Bowls Club, Ashbourne, Derbyshire. Thursday 11 April - Hewell Bowls Club, Redditch, Worcestershire. Further information about the range of bowls maintenance products available can be found by visiting www.dennisuk.com. For more news, reviews and insightful views, you can follow Dennis on Twitter and Instagram @DennisMowers. You can like the Facebook page – www.facebook.com/DennisMowersUK . You can also view the latest Dennis videos by visiting www.youtube.com/DennisMowers.